Yes, ‘Time of the Month’, ‘Aunt Flo’, ‘Shark Week’, ‘Closed for Maintenance’ or whatever you want to call it, it’s that dreaded cycle of bloating, bad skin, and above all pain that; we all hate. 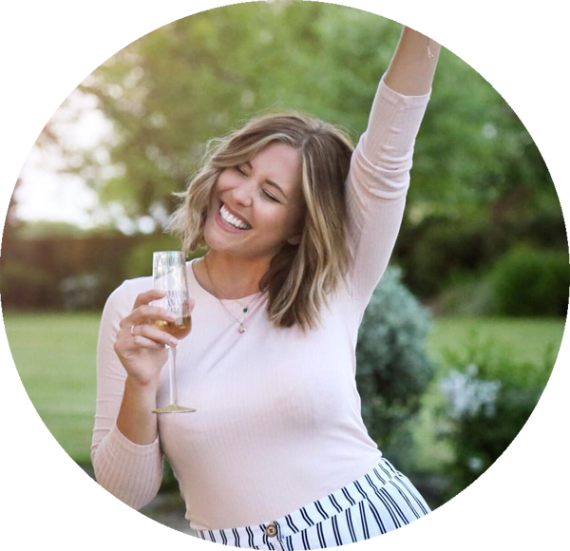 Talking on such an open platform about something that only my closest family and friends are aware of is a little strange but for women who suffer as I do every month, I think it’s my duty, nay, privilege, to let you in on something that may help. I probably should give you a bit of background. I have suffered from heavy periods since I had my first at age 13. However, mine were very irregular, so much so that I used to refer to it as ‘my time of the year’ as I would go for months at a time without one. To be honest I saw it as a blessing as when they did arrive, the crippling cramps that accompanied them were almost unbearable. I was finally diagnosed with Polycystic Ovary Syndrome a few years ago and for whatever reason, my periods have become far more regular during the past couple of years. But with that time of the month comes those dreaded painful cramps. I have an ample supply of strong painkillers and heat pads to try and battle through it, so when I was given the opportunity to try something a little different I was very eager! 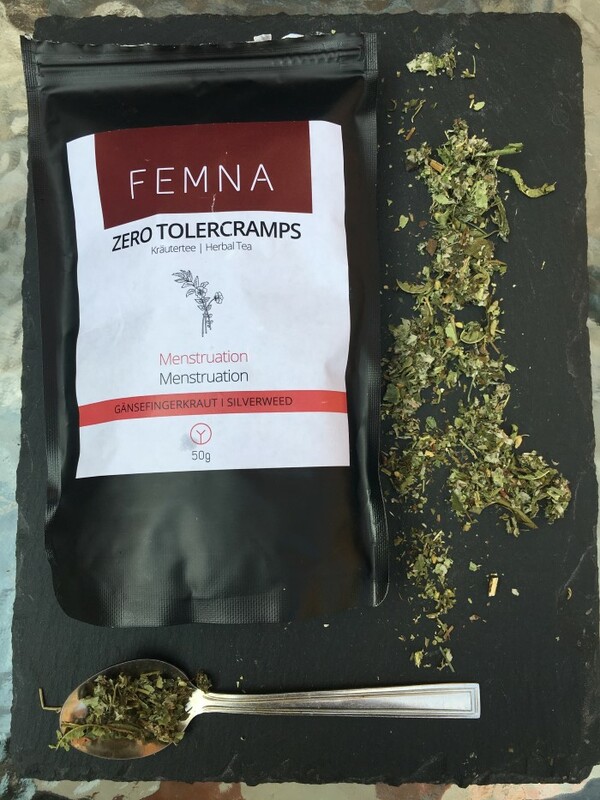 Femna Health has produced a herbal tea, Zero Tolercramps, which contains a organic ingredients including yarrow, raspberry leaves and lady’s mantle, perfectly blended to help you battle those pesky period pains. It is recommended that you begin to take 2-3 cups of the tea a week before your period is due. I adore my Fitbit app, which I have found invaluable for tracking my menstrual cycle and predicting when I am due my period, especially given my track record of being irregular. I was a little dubious the first time I spooned two teaspoons into a strainer to brew in the week before the Fitbit app suggested that I could expect my time of the month. I am not a massive fan of herbal teas, but I had to admit that it was certainly delicious when I started to drink it about ten minutes later. Keeping up with the recommended dosage of Zero Tolercramps and with my usual trepidation, I awaited the start of my period and those dreaded cramps. For a bit of context, the first and second days are the least bearable for me; when it is at its absolute worst I often experience nausea, minor trouble walking, and it isn’t unheard of for me to wake up screaming in the night due to the pain – much to the shock of my poor husband and dog who never get used to the rude awakening! So you can imagine my surprise when those cramps arrived that they did not seem as violent. In fact I found that once I was busy at work, I was finding that they were barely noticeable for the majority of the time! Granted, when I would get home and was not as focused on other things, I was aware of cramping but the intensity was definitely diminished. I even managed to reduce my usual full arsenal of heat pads and prescribed co Codamol for the rest of my period! In the several months since I have been using the tea, I have become savvier to listening to my body, and will sometimes alter the dosage and frequency of my intake if I feel that I require more or less. The best part of relying on herbal tea is you are safe in the knowledge that you are able to take a larger amount if you need to! I’ll finish by saying that in my experience, Zero Tolercramps certainly isn’t a miracle cure, but I highly recommend it if you suffer from cramps. You’ve got nothing to lose from giving it a go and seeing if it eases things for you like it has done me. Because no one likes to down ibuprofen (or stronger) like they’re Haribo! I’ll definitely be continuing to drink it during that dreaded time of the month. Period. 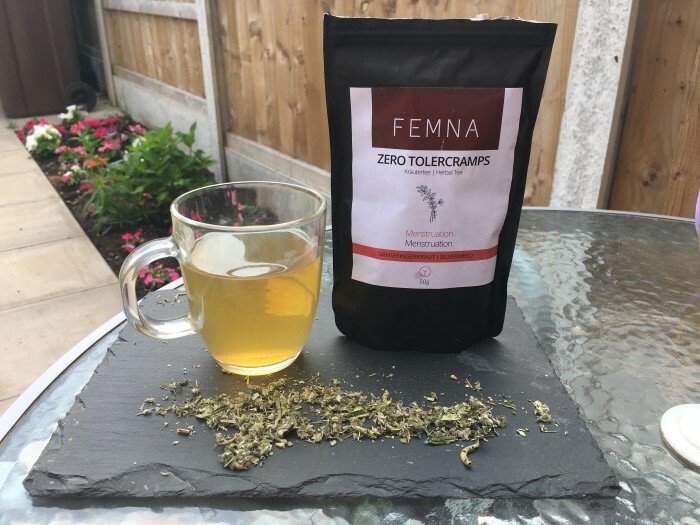 Take a look at the Femna Health Website and Grab Your Tea HERE! *Gifted item for guest post with our period expert contributor Lucy!